Chevron deference: Strangling farmers one regulation at a time? The implications of Chevron deference are heavy for farmers when the same regulatory agency can make and interpret rules. When federal regulatory agencies clash with U.S. farmers, Chevron deference tilts the legal battle in favor of the agencies before litigation begins. The federal government has a hidden wild card. When farmers face the creep of federal agency regulation, the game is consistently tilted in the bureaucracy's favor, and although agricultural producers know the deck is stacked, most are unaware of the joker concealed in the government's sleeve: Chevron deference. Born of an environmentally related Supreme Court case (Chevron vs. NRDC) in 1984, Chevron deference allows judges to defer to agency interpretation when "ambiguous language" is found in federal law. (When in doubt, rely on agency judgement.) However, because ambiguous language is splashed across regulatory and environmental law, Chevron deference provides a massive boost to government agency authority. The implications for agriculture are heavy when the same regulatory agency can make and interpret rules. Chevron deference has a sledgehammer impact on agriculture, according to Roger McEowen, Kansas Farm Bureau professor of agricultural law and taxation at the Washburn University School of Law. "It's absolutely huge and has tremendous influence on producer activity and private land ownership. WOTUS and Endangered Species Act interpretations are just a couple of examples of how deferring to the governmental agency's interpretation of the law impacts activity on private property," he said. "This is part of an ever-expanding bureaucracy where courts cede authority to an unelected bureaucratic body to decide what the law says. That is the root of the problem and it infects so many areas involving farmers. Frankly, it's unbelievable." 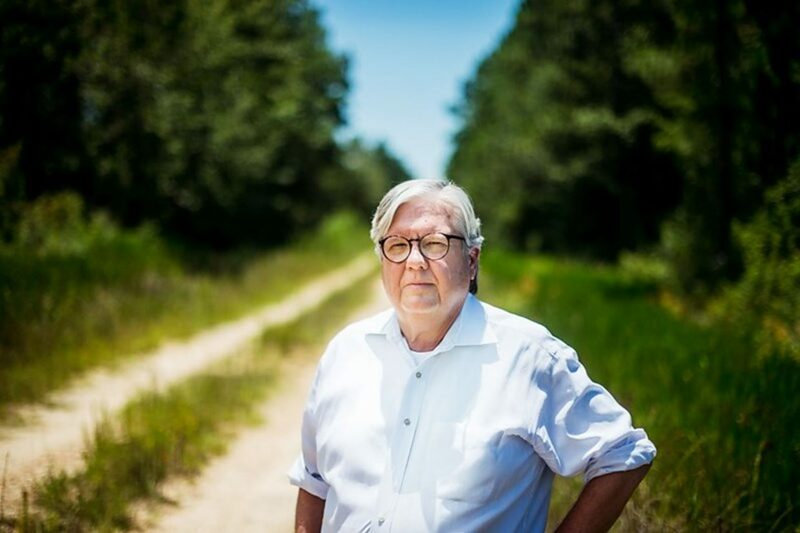 McEowen, author of the Agricultural Law and Taxation Blog, says Chevron deference raises fundamental questions of fairness, particularly related to the regulation of agricultural activity. "Farmers have to understand what is happening. The same agency that writes a rule is the same agency called on to judge the rule. If you get in a rule dispute with USDA, where did the rule come from? USDA. Then you appeal to the same people that wrote the rule. Then you appeal to the director of same agency. When you finally get to a court, the judge is going to uphold the agency interpretation of the law at issue unless it is 'arbitrary and capricious.' A farmer or rancher doesn't often win a battle under that standard." Gary Baise, Washington, D.C., attorney with OFW Law, says producers must recognize the reality of Chevron deference because the standard continuously surfaces in agriculture-related legal issues: "The agency writes the rules. The same agency then interprets the rules. The same agency then gets the court to back up its interpretation of its own rules. It's just crazy and you can't make it up." Baise was directly involved in the settlement phase of the benchmark Duarte case in California. In 2012, producer John Duarte gave permission to grow 450 acres of wheat to a business associate who hired a local operator to till the ground with a Case Quadtrac and Wilcox ripper. 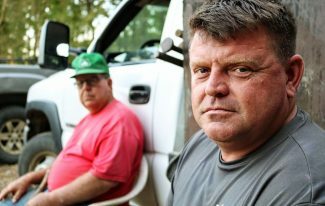 When the Quadtrac was spotted by an Army Corps of Engineers field agent, the fuse was lit on a tangled legal saga. The acreage contained temporary vernal pools, which form in low field pockets after rains, typically several inches deep and one-hundredth of an acre in size. In February 2013, Duarte received a cease-and-desist (CDO) letter from the Corps, warning him over "unauthorized work in waters of the United States," and adding the threat of potential fines and imprisonment. Duarte was found liable of breaching the Clean Water Act for plowing the 450 acres and faced a $2.8 million direct fine and $40-plus million in mitigation penalties. In August 2017, Duarte settled with the feds: $330,000 in civil penalties and $770,000 in wetlands credits. It was a bitter pill for Duarte, concluding a five-year legal nightmare brought on by inches of tillage. In the end, Duarte couldn't evade the CWA interpretation of a bureaucracy intent on regulating his farming practices. Likewise, the bizarre and ongoing dusky gopher frog case in Louisiana places the effects of Chevron deference in bold relief. Edward Poitevent has lost private property rights on 1,500 acres to a frog species that will never live on his land and doesn't live in his state. Can the federal government push aside private property rights in the name of critical habitat for a species that does not live on a given piece of land, cannot live on the land with the present environmental conditions, and does not live in the bounds of the state in question? Yes, according to the Fish and Wildlife Service. The feds don't have to pay for the acreage, yet Poitevent can never freely develop or sell his own land. Poitevent hopes SCOTUS will hear his case sometime in the fall of 2017. So far, the FWS has won each court battle, partially thanks to a boost from Chevron deference. Mark Miller is a senior attorney with the Pacific Legal Foundation and says Chevron deference allows courts to abdicate their decision-making role: "The feds can do as they like and then hide behind Chevron. In Ed Poitevent's case, the ESA doesn't say critical habitat includes areas where a given creature isn't even present. Courts often are so happy to defer to agencies. Chevron absolves them and then there's no need to look behind the curtain." Ryan Walters, attorney with the Center for the American Future at the Texas Public Policy Foundation, says Congress is also to blame for the Chevron deference tangle because legislators pass broadly worded laws and then punt to the agencies. Essentially, Congress takes the glory and then leaves the agencies to fill in the details. "Congress gets off the hook for tough decisions, taking credit for the good purposes in vague laws while leaving the agencies to impose the costs. 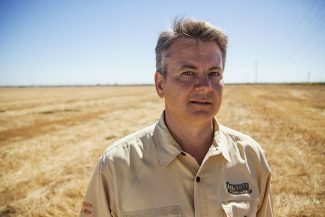 Chevron empowers executive agencies to have the authority to change what laws really mean, and this is very important for agriculture," Walters said. "Farmers should know that one of the reasons average Americans don't hear about these things is because actions of agency employees don't get the attention from the public that elected members of Congress receive," he said. "At some point, members of Congress have to justify their actions and answer to their constituents during re-election. But anonymous bureaucrats in government agencies can make decisions having a large impact on people's lives, without the public having any direct way to hold them accountable." Whether eventually addressed by SCOTUS or knocked down by the pending Regulatory Accountability Act, Chevron deference currently affords agencies the power to decide the meaning of laws they're only supposed to enforce, and by extension, allows agencies to make laws instead of the legislature. Critics believe the incongruity begs a classic question for farming's future: If unelected government agency bureaucrats have the power to interpret the language of law, who regulates the regulators? When agencies clash with agricultural producers, Chevron deference is the default which tilts the legal battle in favor of the agencies before the litigation even begins, McEowen said. 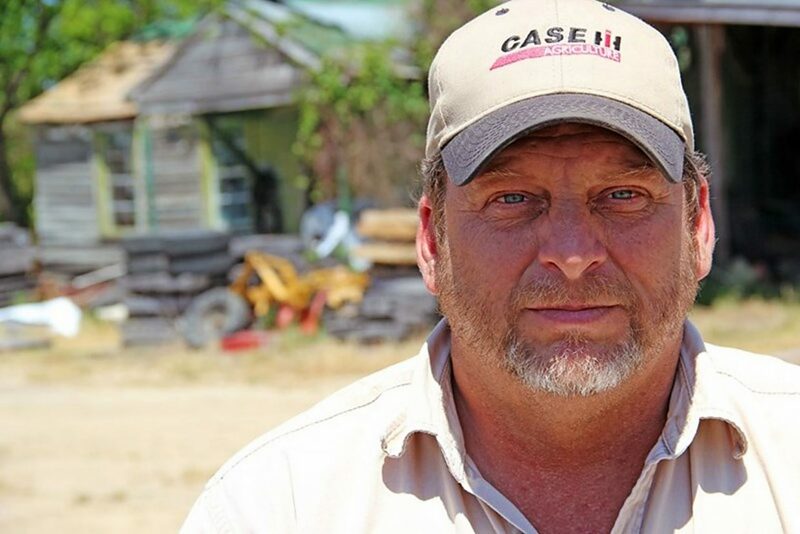 "Most farmers don't have the money to go through an administrative process that is already tilted against their favor, just to get to a court of law. If they do get to court, the judge applies the arbitrary and capricious standard of Chevron and the farmer has a very difficult time prevailing." McEowen also cited instances where federal courts declined to "rubber-stamp" an agency's view. In a significant case involving the Conservation Reserve Program decided in 2014 (Morehouse v. Commissioner of Internal Revenue), the U.S. Court of Appeals for the Eighth Circuit refused to validate the IRS' position that CRP payments were subject to self-employment tax in the hands of a non-farmer. The court noted the IRS had not followed the appropriate notice and comment procedure for issuing a Revenue Ruling that would have officially changed its long-standing position on the matter. More recently, in September of 2017, Judge Elizabeth Paris of the U.S. Tax Court refused to apply the IRS position in a key farm tax case (Martin v. Commissioner of Internal Revenue) in significant part because the IRS failed to brief the legal issue involved and relied solely on its announced disagreement with how another federal court had decided the issue in a case with identical facts. When dealing with administrative agencies, McEowen strongly advises producers to seek immediate legal counsel at the beginning of a conflict, even in cases that appear contained at the county level. "It's very likely a case will be appealed by the given agency in D.C. and moved out of the county. Once it leaves a county, a farmer contends with unknown faces and Chevron," McEowen said. After administrative remedies are exhausted, the only factor a court will consider is the established record to see if the agency acted in a way that was arbitrary and capricious. McEowen has seen repeated cases where lack of a proper evidentiary record ended in a farmer loss. "Time and again, I've seen farmers go through the whole process without a lawyer. They go through the process, finally get to court, and hire a lawyer. Too late: The trial court dismisses and the government wins because there's no record to review," he said.